Stegosaurus was a Late Jurassic (155-150 Mya) herbivorous quadrupedal dinosaur known for its array of upright plates on its back and strong spiked tail. Heavily built with short limbs, a small head, and large body, Stegosaurus was a defensive dinosaur that likely foraged for twigs and low hanging fruits. 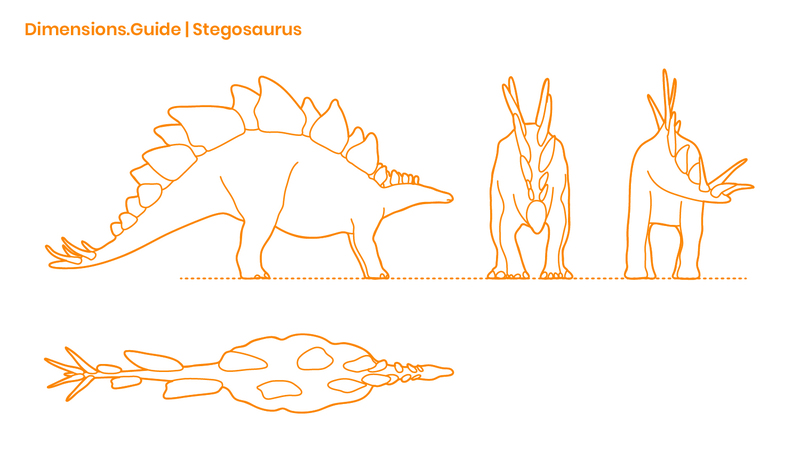 Stegosaurus has a body length of 30’ | 9.1 m and a height of 14’ | 4.3 m.